Item # 313656 Stash Points: 2,495 (?) This is the number of points you get in The Zumiez Stash for purchasing this item. Stash points are redeemable for exclusive rewards only available to Zumiez Stash members. To redeem your points check out the rewards catalog on thestash.zumiez.com. 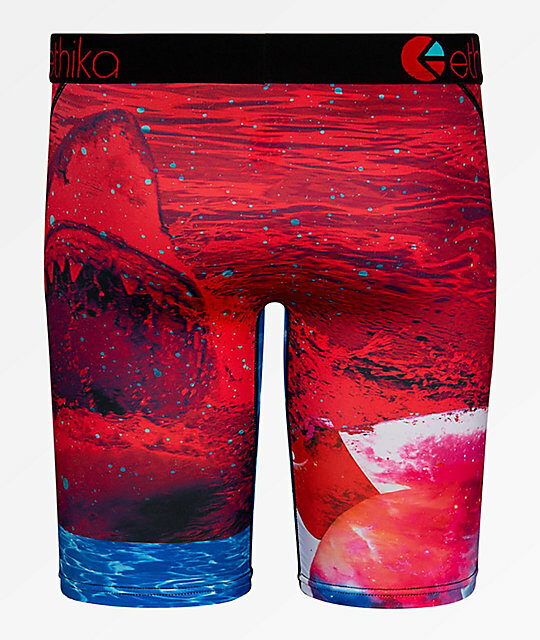 Get an otherworldly look with tons of comfort in the Ethika Life Saver Boxer Briefs. 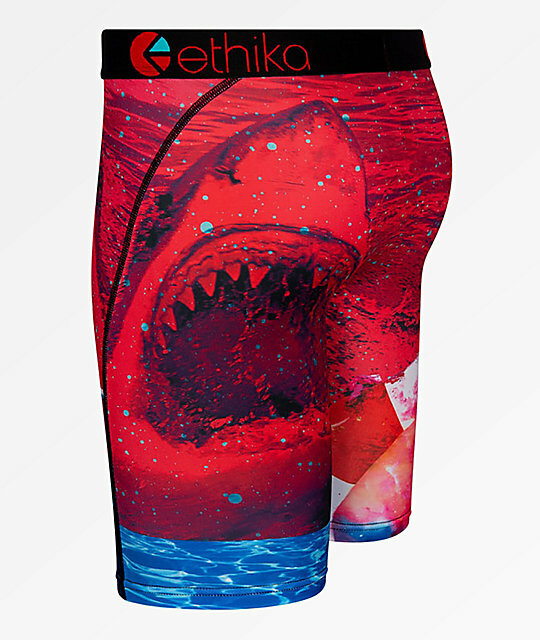 Flatlock stitch seams and no-rise technology offer all-day comfort and the sublimated graphic of a astronaut surfer with a galaxy print shark behind create a truly original look. Life Saver Boxer Briefs from Ethika.